These adventures mountain biking holidays will take you to the best mountain biking destinations in Slovenia, covering thrilling singletrack and big mountains to easier trails for less experienced riders. Our undeniably exciting selection of mountain biking tours will ensure that an adventure with us will be the best you've ever had. In this mountain biking tour lasting four days we will ride in Gorenjska region that boasts the country's most inspiring views and the picturesque and varied mountain roads and single trails. Sleeping in mountain huts, high in the moutains is the best wey to finish the incredible day of riding. 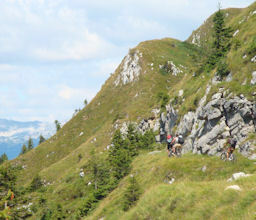 If you are visiting Slovenia for short period and you want to do some mountain biking in Slovenia than this is perfect tour for you. In our weekend mountain biking we will do some fantastic riding in Bled in Bohinj area on the adge of Triglav national park and Mount Triglav. 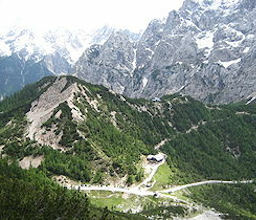 This cycle tour in Slovenia will allow you to explore the world famous Triglav National Park and its surrounding region. 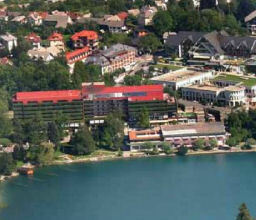 The most famous landmarks of this tour are Lake Bled Lake Bohinj, Bovec, Kobarid and Kranjska Gora. Rest day will be reserved for swimming in the sea. As you enjoy Slovenian food and wine, the circumstances that resulted in the Slovenian proverb that love comes through the stomach will become clear. The delights cooking, hidden in old recipes, are now available at almost every turn in all vineyards around Slovenia. Slovenia's natural health resorts, thermal spas and wellness centres are pillars of what Slovenia has to offer people for whom health and wellness are important. They combine centuries of tradition, experience of thermal baths and modern findings of experts dedicated to healthy minds and bodies. 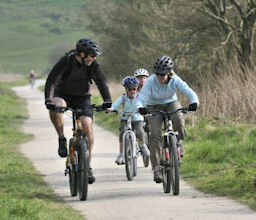 Our family cycling holidays offer varied routes with lots of opportunities for independent exploring and stops. 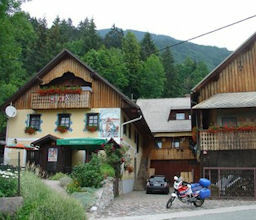 Wonderfully and off-the beaten track varied cycling: Wi´ll ride to Planica, to Mojstana and the Vrata Valley; to the surroundings of Bohinj and Bled with all natural heritage sites. 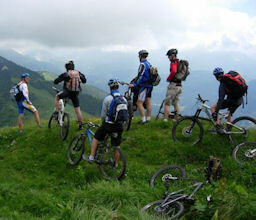 This cycling holidays in Slovenia is through the wonderful picturesque Slovenian Alps. This tour is extremely panoramic with views like those obove. Our cycling holiday visits such locations as Mangart (2072 m) highest mountain road and highest pass (Vršič 1611 m) in Slovenia. This cycle tour in Slovenia will allow you to explore the world famous Triglav National Park and its surrounding regions. The most famous landmarks of this tour are Lake Bled with its church on the Island with the Triglav peaks just behind it and its famous castle on the hillside over looking the lake and town. 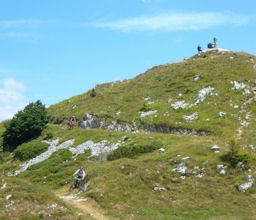 The Karst is very suitable for leisurely cycling on the gently rolling Karst plateau, but it also offers some more challenging climbs to summits on the edge of the plateau. Because of mild local climate cycling are possible all year round, but in spring and autumn the Karst presents itself at its most beautiful. An extensive network of bicycle trails was established with a total length of 660 km, enabling you to create your own bicycle trips of varying length and difficulty. The dreamy countryside along the Mura River in eastern Slovenia is a land of wide fields and rounded hills, storks and wind-rattles, floating mills, healing waters and energy points, picturesque winegrowing hills, original traditions and dialects, and most of all, a land of hospitable people, who live in Slovenia’s largest agricultural region. The towns and villages along the Mura River and its tributaries are linked by excellent bicycling trails and by several wine roads. 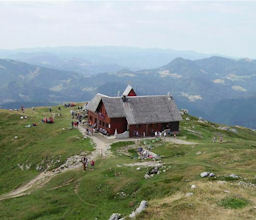 Day-trip and tourist farms and numerous ethnographic events enable visitors to experience the unique traditions of northeastern Slovenia. 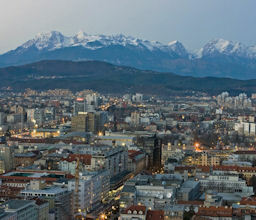 Ljubljana, the capital of Slovenia, is a central European city lying between the Alps and the Adriatic Sea, in a basin where the Ljubljanica river flows into the Sava. It has all the facilities of a modern capital, and yet it has preserved its small-town friendliness and relaxed atmosphere. It is a vibrant city full of surprises. Its surrounding areas, packed with natural beauty and cultural sights bearing witness to the city's dynamic history, are renowned for their cycle trails and a wide variety of culinary delights. From Maribor you can go with a bicycle over Pohorje, along the river Drava, over the hills of Slovenske gorice, downhill over Pohorje's steep slopes, up Kozjak, through the picturesque region of Kungota and to other places. 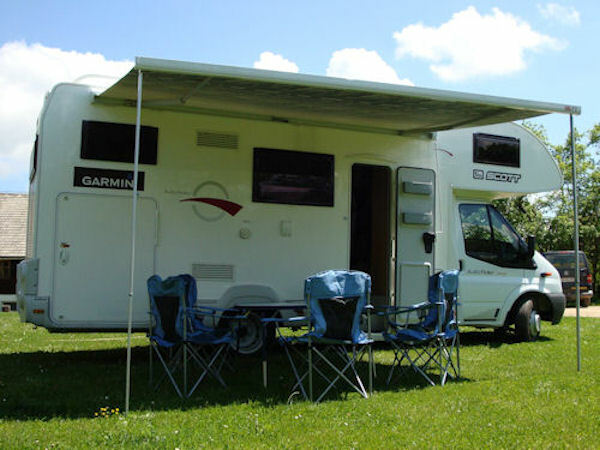 Once you start your trip you won't be able to resist the diverse countryside of surrounding places, which along with cycling pleasures offer wonderful views and interesting natural and cultural heritage. Koper countryside' is presented with beautiful and interesting villages and hamlets, the natural, architectural and other heritage features and characteristics, which are very common, but too many times hidden from our eyes.The health and friendship route is the right decision for all those, who want to take a step into the history of old cities with bike and get acquainted with the natural resources of the Istrian Coast and see the beauty of the landscape, covered with hills. Whatever your biking objective may be, whether you are a novice, or accomplished, hiring a CERTIFIED GUIDE provides a life-long benefit, proving highly beneficial for every biker in areas of safety, technique, training methods, comradery, and partnership. The Mountain Bike or Cycling Guide makes locating a guide to hire easy with this Slovenian directory of certified mountain biking guide. 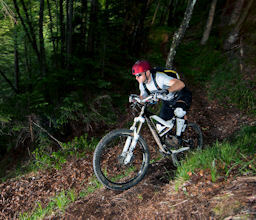 We'll take you on a tours around Slovenia with great riding in the area. 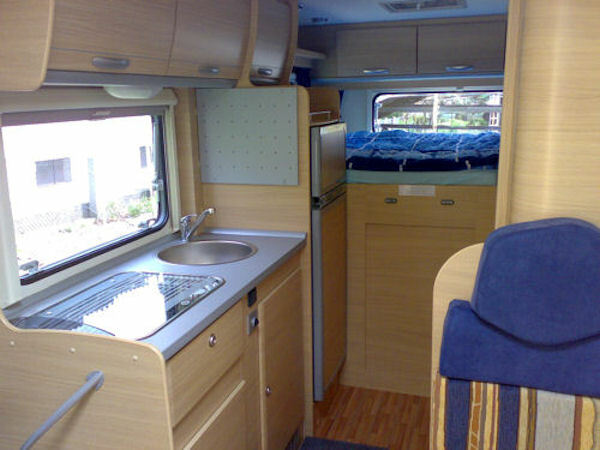 You will enjoy easy rides and discover a lot more with our guidance. 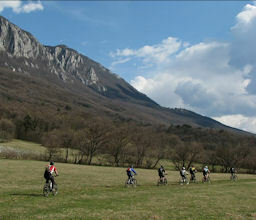 A group of experienced and professional guides who love adventures and untouched nature are specialized in bike trips. 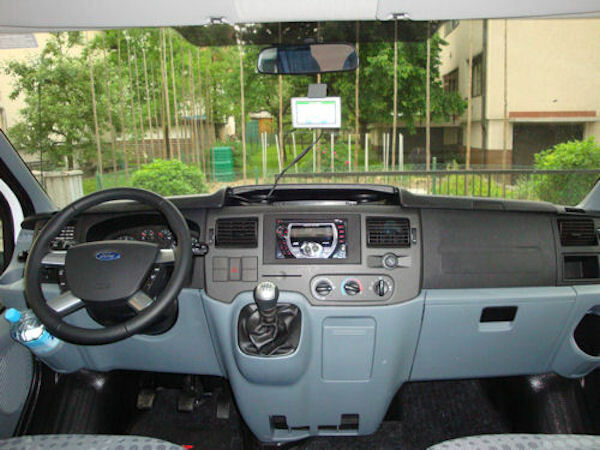 With rear-wheel drive and twin rear wheels, the Ford Transit-based on 2.4L TDCi offers spacious rear storage for bulky items like bikes and small scooters. 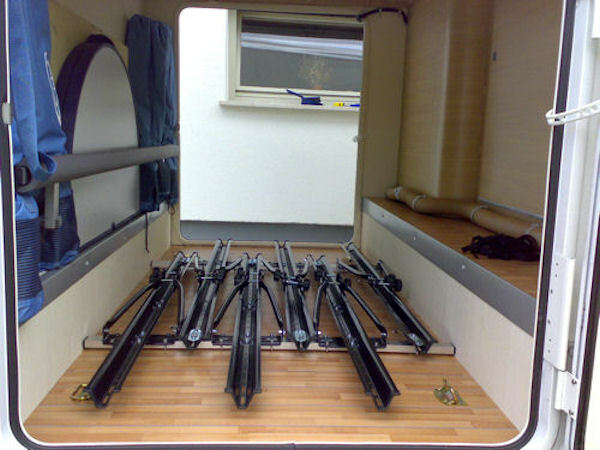 The height of the rear bed can be adjusted using the optional Flex Space system. 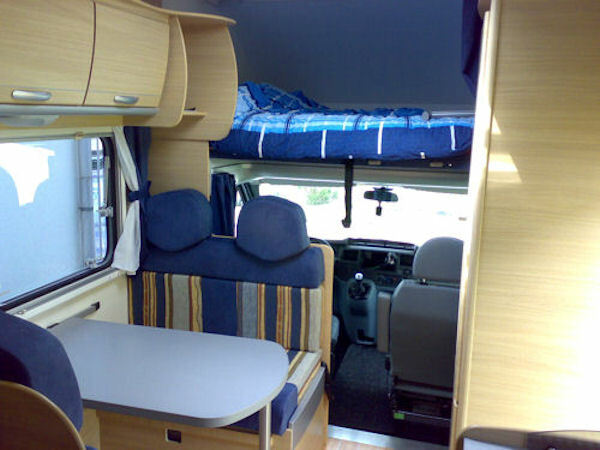 Travelling, dining and sleeping for up to 6 people is on offer in this vehicle which offers a practical solution for outdoor people. 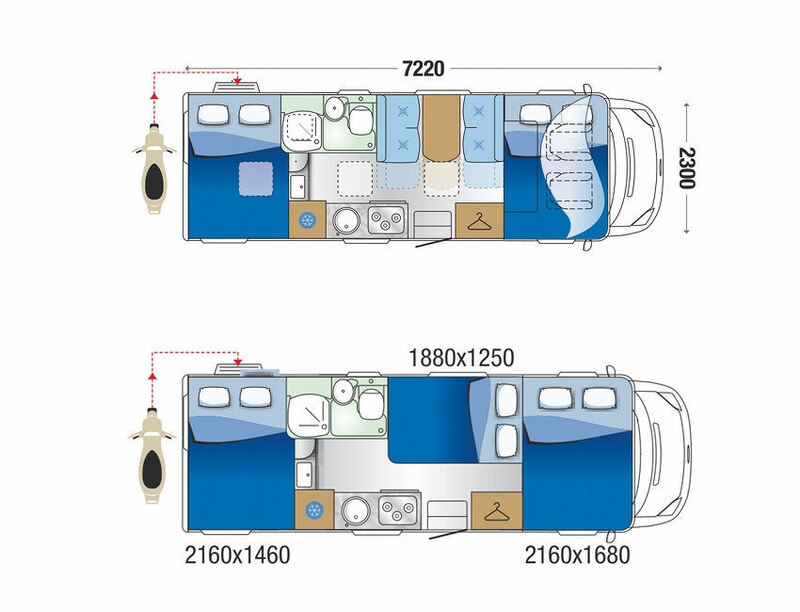 Feature large washrooms with separate step-in showers with rigid doors and vehicles with the large rear storage locker for 6 bikes with extra chein to protect bikes. On our tours we are sleeping in 3 or 4 stars hotels depending on availability. Hotel rooms are equipped with cable TV, telephone, mini bar and bathroom with bathtub or shower, while most also have a balcony or terrace and wireless internet access. We have carefully selected list of family hotels with the highest level of comfort for our guest. 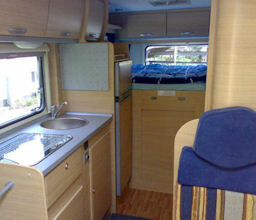 They are fully equipped with cooking utensils, cutlery, towels, linen, iron, hair dryer, telephone, CTV, broadband internet. 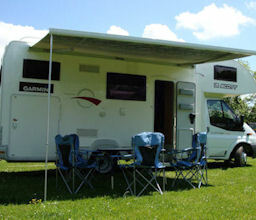 They are an excellent ‘home away from home’ for relaxing after a long day of discovering the beauty of Slovenia.They all service big brakfests. Mountain huts cater for all needs of the mountain biker, a roof over their heads, a bed, drink and food. Some of the huts are found in the valleys at road-heads and on the slower slopes but there are many at higher altitudes in the mountains. Accommodation at the huts can be in simple rooms or, more cheaply, in a dormitory. 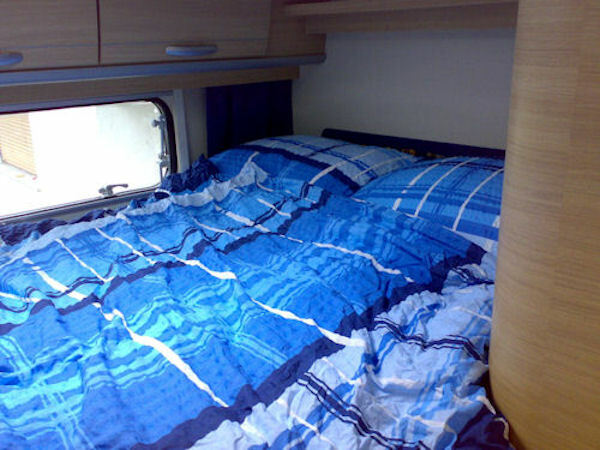 The beds were always comfortable with clean sheets and enough blankets. 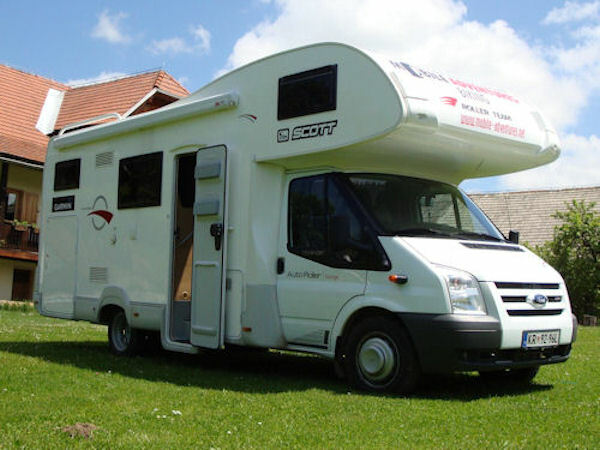 Our aim when setting up this mountain biking holidays with motorhome, was to create a varied and exciting experience that would not only afford us some fantastic mountain biking, but also allow us to explore different mountain areas of Slovenia in only 7 days. 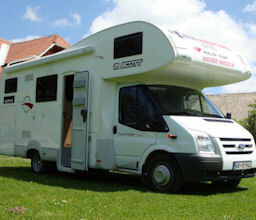 Check our tours! 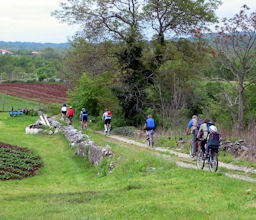 Relaxed and easy biking with spectacular and picturesque routes. 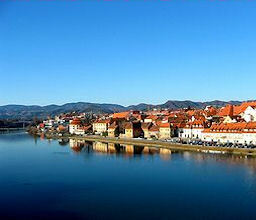 With less effort, see the best of different regions of Slovenia. 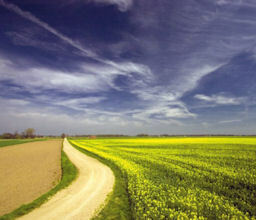 Trip has nature and culture balanced with excellent food and leisure tempo. 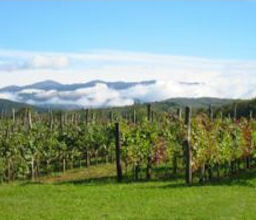 Lakes, valleys end vineyards views. Check our tours! This tour is basically meant for using race bikes and cycling long distance tracks on roads. In this tour we will visit highest road (Mangart 2072 m) and highest pass (Vršič 1611 m) in Slovenia and a lot more incredible lanscape cycling.Check our tours! V sezoni 2011 smo vam pripravili ponudimo paketov za kolesarske vikende v Sloveniji in tujini. 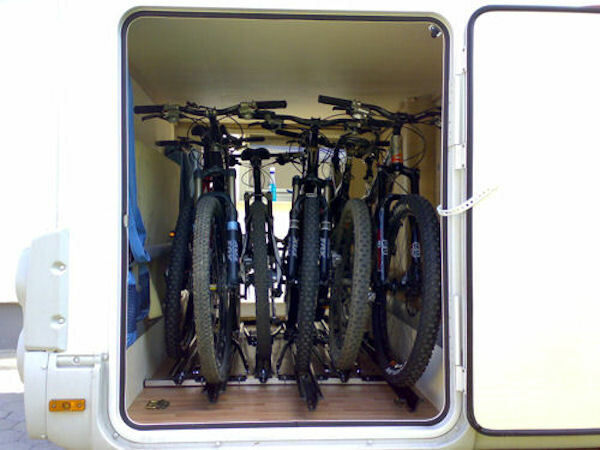 Pripravili smo vikend pakete za obisk bikeparkov v sosednji Avstriji (Leogang, Wagrain, Schladming,...). Vse se bo dogajalo z našim avtodomom. Več..
@2016 Mobile Adventures Biking - Mountain Biking Holidays, Cycling Holidays & Road Cycling Holidays Specialist for Slovenia. All Rights Reserved.